(Scroll down for video) A 51-year-old from Florida, Christina Lee Brown, was released from jail. She decided to call 911 to thank the police officer who gave her a food when she was locked up. Her problem was that she was drunk when she repeatedly called 911 for a non-emergency to thank the sheriff for his kindness. When operators asked her what her emergency was, Brown said that she does not have an emergency. “I’m not on fire yet”, she said. 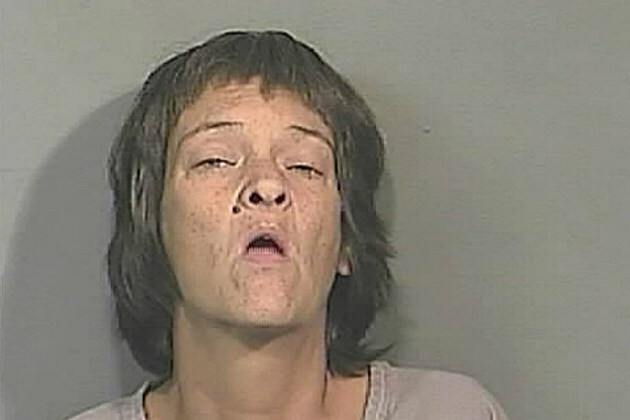 She just wanted to thank Brevard County Sheriff Jack Parker who gave her bologna sandwiches in jail. 911 operators over and over again asked her not to call back unless she had an emergency but she did not listen and she kept calling back. According to Palm Bay police, Brown called 911 on six different occasions, each time stating that she wanted to thank Sheriff Jack Parker for a sandwich he gave her while incarcerated at the Brevard County Jail. When operators had enough of her calling they sent an officer to her house. When the officer arrived at her house, she was still on the phone with a 911 operator.